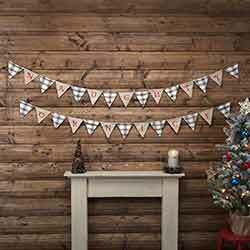 Christmas Garlands & Banners - perfect for adding a festive touch to your banister, mantel, shelves, windows, hutches, or even your Christmas tree! 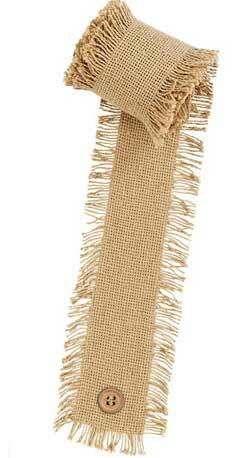 We have pip berry garlands, burlap banners, beaded garlands, and much more! 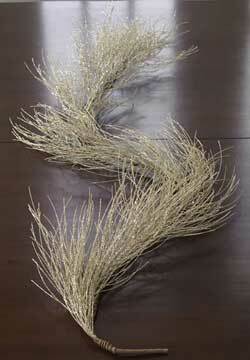 Antique-style tinsel garland, perfect for feather trees, craft projects, or as a decorative accent. Packaged in a retro-style cardboard box. Wintery antique creme is paired with soft burlap to give the Vintage Burlap Garland Set a Christmas-inspired look alive with country splendor. 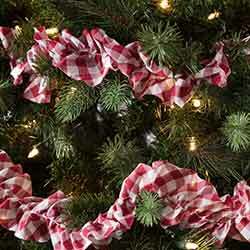 Traditional greenery has been updated in red, green, and creme plaids to give the Clement Rag Garland Set a country look for your tree, mantel, or hall. 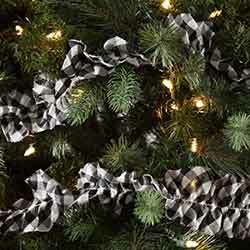 Traditional greenery has been updated in country checks of black and white to give the Emmie Black Check Garland Set a farmhouse fresh look for your tree, mantel, or hall. 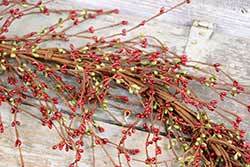 Traditional greenery has been updated in country checks of red and white to give the Emmie Red Check Garland Set a farmhouse fresh look for your tree, mantel, or hall. Felt Flower Garland, by One Hundred 80 Degrees. Soft velvety felt braided garland accented with felt roses and leaves, in a palette of red, salmon, sage, olive, teal, and orange. Measures 60 inches long. 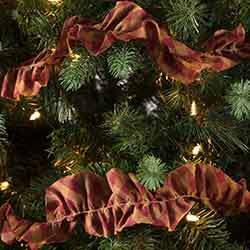 Traditional greenery has been updated in a country plaid of tan, deep red, and natural green to give the Jonathan Plaid Garland Set a farmhouse fresh look for your tree, mantel, or hall. 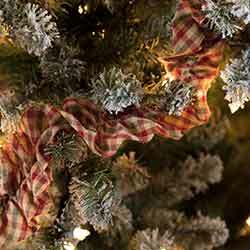 Replace scratchy materials and messy pine needles with natural burlap then wrap a wreath, deck your hall, or enhance the tree with the Jute Burlap Natural Garland Set. Mini Bead Garland, by Primitives by Kathy. 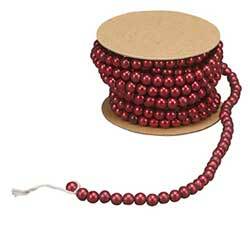 This old fashioned bead garland is modeled after retro styles, and has the look of an antique. This is for the RED garland. Made of resin to look like glass, intentionally distressed for an aged look. Measures 6 feet long. Mini Bead Garland, by Primitives by Kathy. 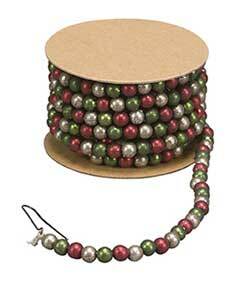 This old fashioned bead garland is modeled after retro styles, and has the look of an antique. 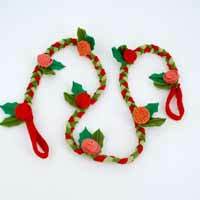 This is for the Red & Green garland. Made of resin to look like glass, intentionally distressed for an aged look. Measures 6 feet long. Garland of mini ivory knit stockings and wooden snowflakes, lightly dusted with glitter, purposefully aged for a rustic primitive look. Pink Iridescent Beaded Garland with Flowers, by TJ Collection. 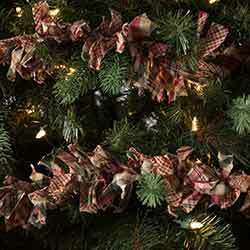 This garland is made up of flat plastic beads and flowers, in a pale pink with with iridescent sheen. 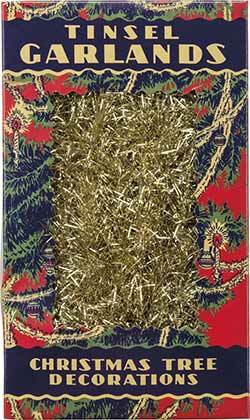 Perfect for Christmas trees, weddings, etc. Perfect for the mantel or for a beach-themed Christmas party, the 6ft Sanbourne Ho Ho Ho Banner makes a sunny, festive statement. 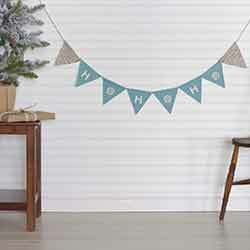 The banner features textured turquoise chambray with repeating HO, HO, HO adorned across its length. Silver Beaded Garland, by Raz Imports. 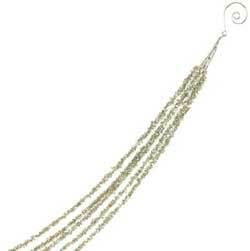 This garland is made up of multiple strands of chunky beads in a warm silver color, gathered together with a hook at the end. 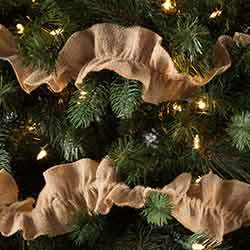 Easy for lining a mantel or banister, but also add a ton of pizzazz to a Christmas tree! Measures approx 5 feet long. Part of the Champagne Frost Collection. Beads are made of plastic. 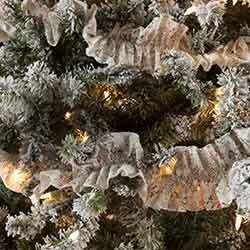 Silver/Tiffany Glittered Pine Garland, by Raz Imports. 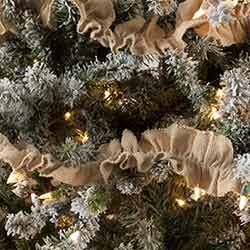 This garland is made up of long faux pine needles covered in silver/champagne superfine glitter. Looks gorgeous on a mantle! Measures approx 5 feet long. Part of the Champagne Frost Collection. Snowflake Felt Garland, by One Hundred 80 Degrees. 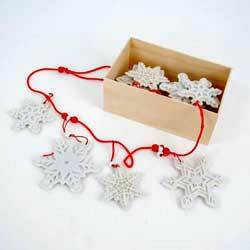 Cut, stiffened felted and wood garland in red and white, in a snowflake design. Measures 9 feet long. Snowman Mittens Garland, by Primitives by Kathy. 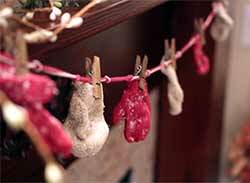 Mini knit mittens in red and white held onto red and white string with tiny clothespins. Measures 45 inches long. 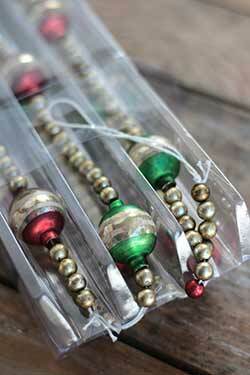 This old fashioned glass bead garland is modeled after retro styles, and has the look of an antique! 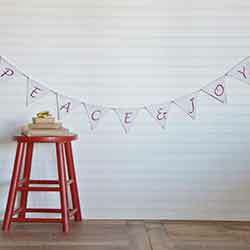 Express a heartfelt message this year with the 7ft Vintage Stripe Peace & Joy Banner. Featuring snow white woven cotton pendants with shimmery candy apple red-embroidered Peace & Joy and strung together with natural jute twine.